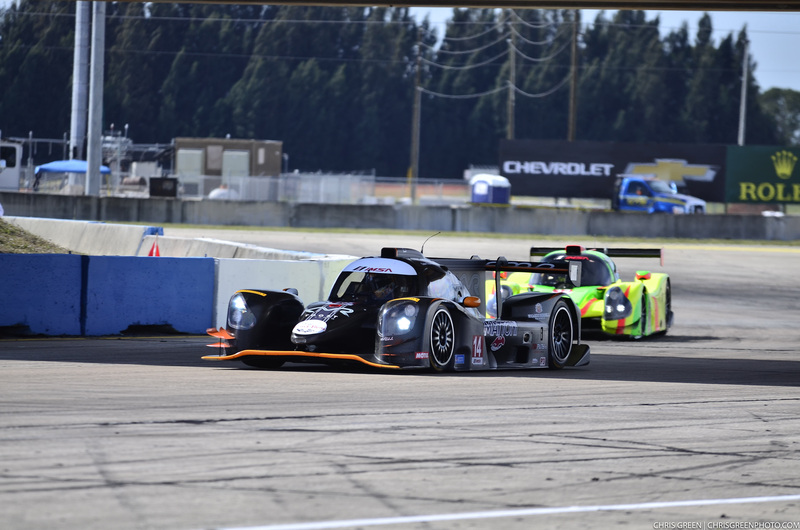 Birmingham, Ala. (19 April 2017) – It is good to have time on your side, but when Kelly-Moss Road and Race (KMR) debuted the Norma M30 machine with driver Colin Thompson in the opening race of the Prototype Challenge presented by Mazda season, time was the last thing that KMR had. The opening event of the year at Sebring International Raceway saw the team receive the car from France through customs with no time to spare. The squad unpacked and assembled the only Norma in existence right in the Sebring paddock to be ready to go for the opening race weekend. 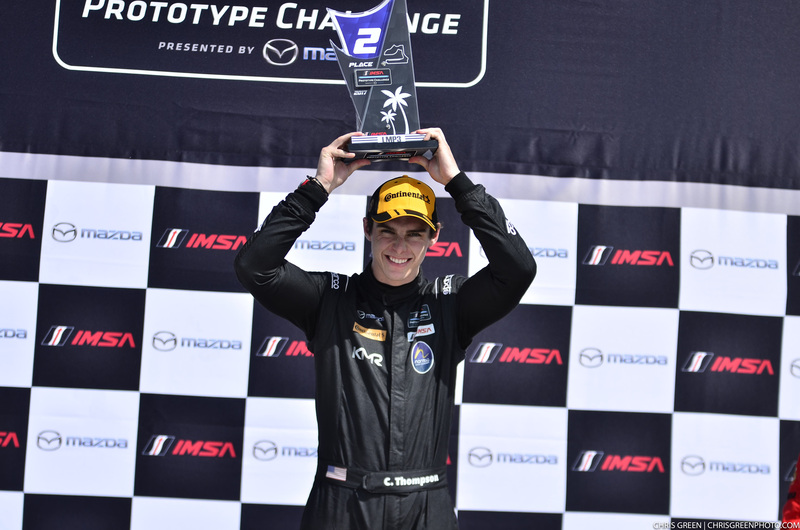 That huge effort saw the Norma demonstrate a strong race weekend pace as Thomson overcame a race one mechanical setback to score second place in round two. Now, with the continued support of Ignite Payments, Mattoni Water, Brey Krause, Sherwin Williams, Ernst Benz and Edoardo Borrelli, as well as a few weeks of familiarity with the French-built machine as well as a recent productive test at Barber Motorsports Park, KMR is hoping to build on the promise of the Sebring weekend in its second outing with the Norma M30. Having opened the team’s 29th season of competition on a winning note at Sebring with the team’s IMSA Porsche GT3 by Yokohama effort, the ambitious dual program is looking to return to its winning ways again in Alabama. The Barber facility, which features an incredible motorcycle museum as well as an eclectic collection of art, has a 2.3-mile circuit that is made of a little bit of everything and is a frequent driver favorite. 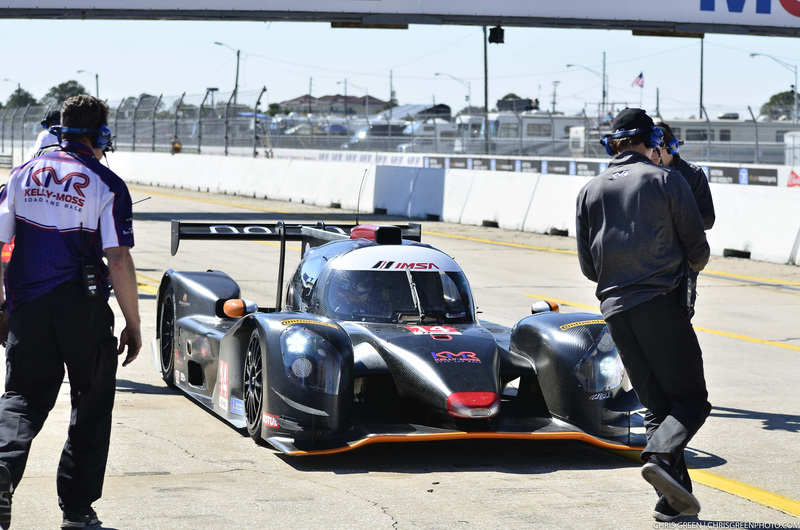 The first of the two 45-minute IMSA Prototype Challenge Presented by Mazda races will take the green flag at 3:45 p.m. CDT on Friday, April 21, while race two takes place Saturday at 12:00 p.m. That race will stream live from 11:50 to 12:45 p.m. CDT on IMSA.TV. Delayed television coverage of the IMSA Prototype Challenge races at Barber Motorsports Park will be provided on May 4, 2017 on FOX Sports 2 (FS2). The broadcast will also be available on YouTube 24 hours after it airs on television. 2017 is the 29th season of competition for the Madison, Wisconsin-based team. 2017: Kelly-Moss’s Porsche GT3 Cup Challenge by Yokohama champion driver, Jesse Lazare, won the 2017 Rolex 24 At Daytona in his first-ever outing in the event, driving with Alegra Motorsports. 2016: Kelly-Moss Road and Race competed in three different Porsche series: IMSA Porsche GT3 Cup Challenge by Yokohama, Pirelli GT3 Cup Trophy USA, and PCA Club Masters Championships. The team competed in 23 different race weekends, with four of those weekends featuring two different race series on two different tracks. In total, that’s over 70 days spent racing, not including the numerous private tests conducted by the group. Kelly-Moss IMSA Porsche GT3 Cup Challenge by Yokohama history: Having raced in every single IMSA Porsche GT3 Cup Challenge by Yokohama event since the series-opener in 2005, Kelly-Moss Road and Race has made 706 starts with 71 victories, 129 podiums, and six championships in that series alone—some remarkable figures. ©2019 Kelly-Moss Road & Race. All Rights Reserved.